Prestige Crock Complete are tasty snacks for rabbits, guinea pigs and other small pets. Made from premium ingredients, these snacks offer welcome variety in your pet's diet. The tasty, crunchy pet biscuit is filled with a soft, delicious core using a co-extrusion proceΒ. The filling is enriched with vitamins A, D3, E and C and omega-3 fatty acids and fibre. 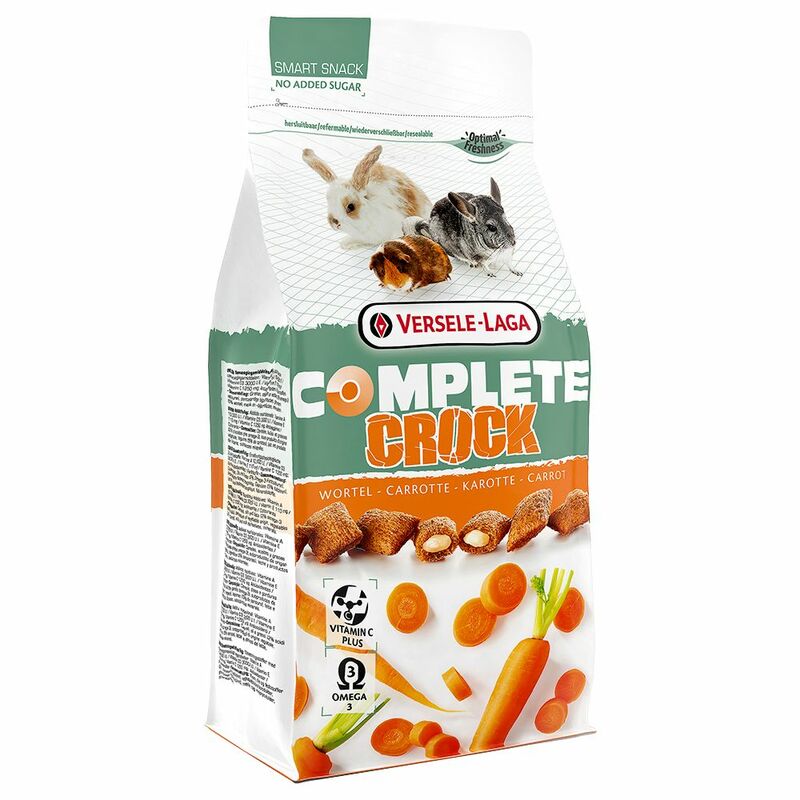 Prestige Crock at a glance: Co-extrusion with crunchy outer and juicy inner Aroma and taste For rabbits, guinea pigs and other rodents With vitamins and omega-3 fatty acids No added sugar.